For many of its early adopters, the Nintendo 3DS has been a little disappointing — hence its slow start. However, Nintendo is doing all it can to make the handheld a decent purchase. In addition to a very generous price cut some months ago, the company has also promised a number of updates that will expand the device's functionality. One of those updates will feature Hulu Plus video streaming, which will also launch on the Wii, the company has announced today. The service will arrive by the end of the year, and will demand the usual $7.99 monthly fee to watch the latest shows on-demand, such as Modern Family, Glee, Lost, and Castle. 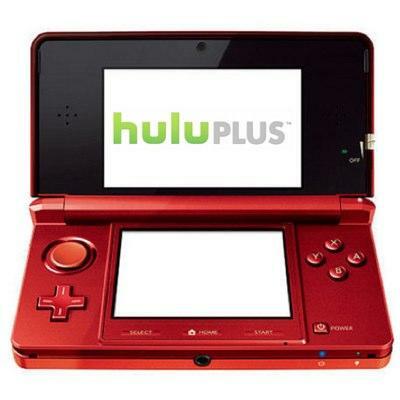 In addition to Hulu Plus, the 3DS will also get the ability to record 3D videos. It currently allows users to snap 3D images, but video recording will be a welcome addition. However, there is one caveat to this feature: Nintendo has limited video recording to 10 minutes at a time. That's likely to be plenty for most home movies, but don't expect to use this device to shoot your first 3D feature film. These updates will also include the ability to shoot stop-motion animation, and will introduce new StreetPass Mii Plaza puzzles and a new dungeon for Find Mii. Dillon's Rolling Western™ is a 3D tower defense game that blends action and strategy. It features an armadillo who defends an Old West town rendered in 3D by literally rolling over his enemies. Launches in Q1 2012. Unfortunately we don't get Hulu Plus here in the U.K., but I am looking forward to shooting some 3D video on my 3DS. Which feature are you most looking forward to?